Sponsored by the Art Department, with support from the Office of Global and Experiential Learning . 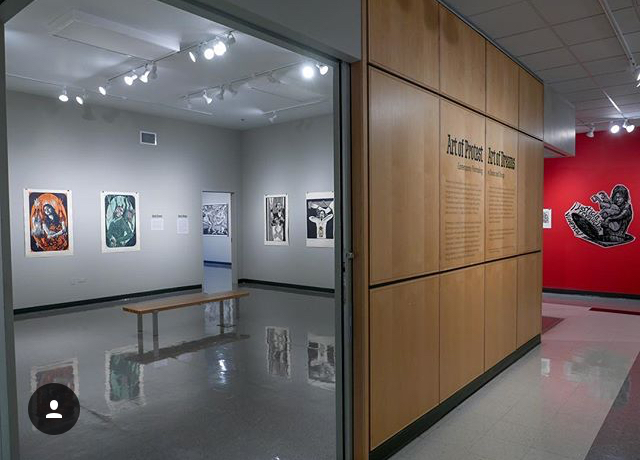 Artwork by the Infamous IGC member Carlos Barberena and Ricardo Serment at the Walford Galleries, Wheaton College. Join us for a musical performance by Mariachi Los Rayos de Leman Middle School followed by a free drop-in printmaking workshop with the collective Instituto Gráfico de Chicago. This event is free and open to all ages. Join us for a presentation and panel discussion with Iván Arenas, Associate Director for Community Partnerships at the Institute for Research on Race and Public Policy, UIC and Oaxacaño artists Edith Chávez and Ivan Bautista as we discuss the intersections of the personal and the public in the art of social justice. In 2006, the repression of a teacher’s strike in Oaxaca, Mexico resulted in a grassroots social movement that held the city for six months. While ultimately repressed by federal police forces, the social movement generated an intense dialogue about the problems plaguing people and gave rise to a series of concerted and creative responses. The Assembly of Revolutionary Artists of Oaxaca (ASARO), a political street art group, was born during this social movement. ASARO used their art to both reflect on and incite dialogue and action about social problems and social justice. Placed on street walls throughout the city, their striking stencils, silk-screens, paintings, and woodblock prints were at the center of political protests, touching on issues such as the militarization of the community, the privatization of public goods, gender equality, transgenic corn imports, democratic participation, and Indigenous rights, among others. Their art of protest recalls the unrealized promises of the Mexican revolution and critiques the present as it pushes for alternative futures. 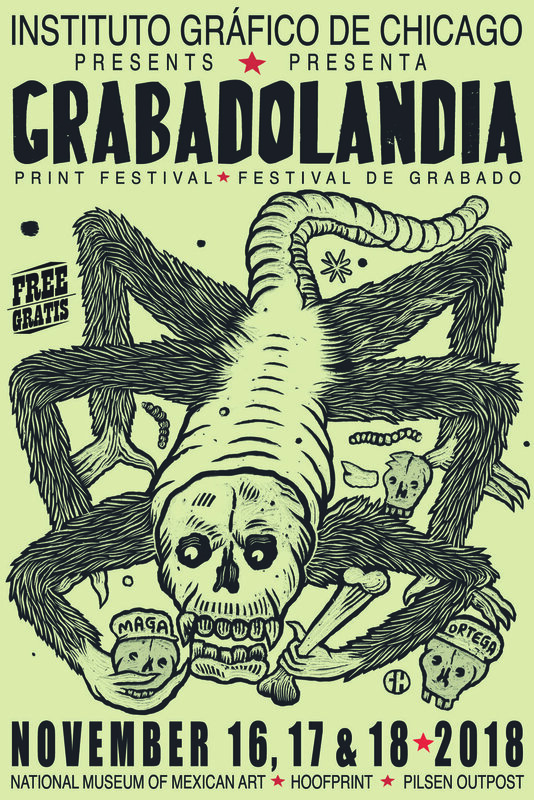 ASARO’s collective and prolific artistic output and commitment to change continue to inspire artists, activists, and the general public, and has shaped Oaxaca’s thriving printmaking scene today. A free family-friendly weekend event for all ages. 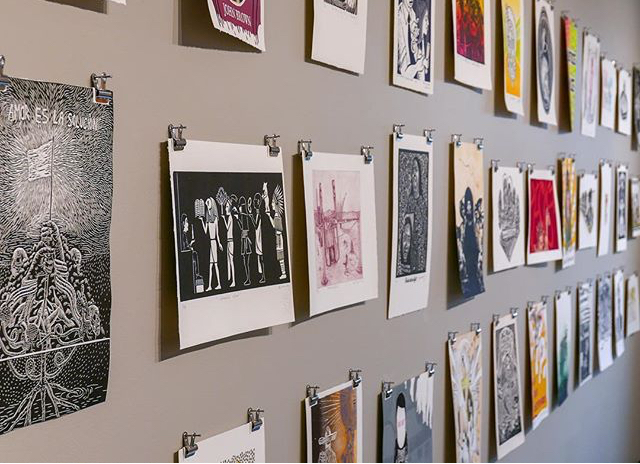 Come learn what printmaking is all about from some of the best printmakers in Chicago and beyond. Artists and printing presses will be demonstrating, displaying, and selling handcrafted prints.